If you are thinking of creating additional living space through creating a new outbuilding, or converting an existing outbuilding – be it a garage, a large shed, or even a disused outside toilet, A& R Design have the expertise to help you though the complexities of the project.Depending on what you want from your new room and the size of the existing outbuilding, or the space of site you have available for a new one, we can create a range of different rooms such as a home office, a studio, a den or a playroom.Conversion of outbuildings has its own specific potential problems, because such buildings have rarely been designed to serve as living space, and using A&R Design will give you confidence that your final building will be both beautiful and fit for purpose. 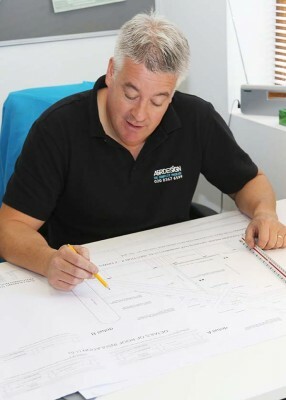 Ensure that any necessary planning permission is obtained (particularly if you are thinking of replacing an existing out-building with a new one). Design a practical and attractive space to fit your intended use. Create a new water-tight floor and create / replace the damp proof course as required. Build the external walls or make good existing walls depending on condition, and provide adequate insulation to make the space usable all year round. Install electrical wiring, new windows, new roof, heating, lighting as required, and drainage and plumbing if your building will incorporate a toilet. Furnish and decorate the room to fit your requirements.